Rosa Rubicondior: Rwanda Football Moves to Outlaw Witchcraft - Seriously! Rwanda Football Moves to Outlaw Witchcraft - Seriously! 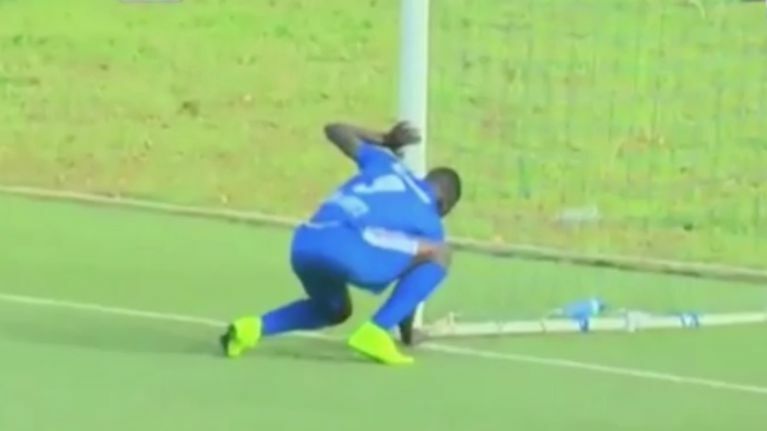 The Rwandan Football Federation (FERWAFA) has acted decisively to clean up the game following a serious spell-casting incidents in a league match which rocked the Rwanda football world a week ago. Any coach found guilty of using witchcraft, will be banned for four matches on top of paying a fine of Rwf200,000. Any team found guilty of engaging in witchcraft, it will lose three points and pay a fine of Rwf500,000. Since there is no scientific way to prove the use of witchcraft, these measures will base upon reports from match officials and anything that is deemed to incite witchcraft will be put under consideration. Readers may remember how in 1994 devoutly Christian Rwanda was the scene of one of the worst organised genocides in recent history when Hutus, aided in many cases by Catholic priests and nuns, murdered 500,000 - 1,000,000 Tutsi. It looks as though the Catholic Church's influence in Rwandan culture is still as strong as ever and that magic words can have the effect of suspending the laws of physics, at least during a football match. Toothless Old Dinosaur Bites Creationists! The Christian Bigots Are Whining Again! How a Plant Evolved to Eat Bat Poo! Catholic Church Still At It Down Under! Hey Creationists! What Kind Of Kind Is This?